Everybody waiting so . 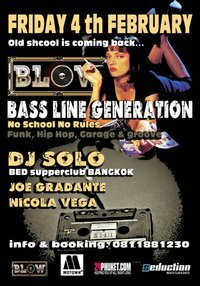 The Most Popular party coming back @ Blow ! With dj Solo ( Bed supperclub BKK ) , JOE Gradante and Nicola Vega! Dt Miss this event’s !! only Groove ,Funk , garage , Hip Hop , and Classic Tunes!! all night long!